The single mom was inspired by Waldorf education and earthing. 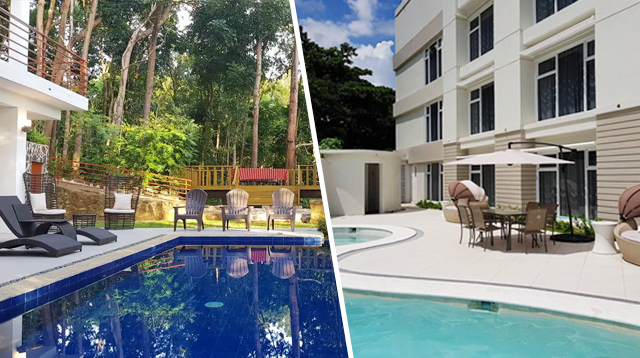 Vanessa Salva, 24, is a self-confessed nature lover. 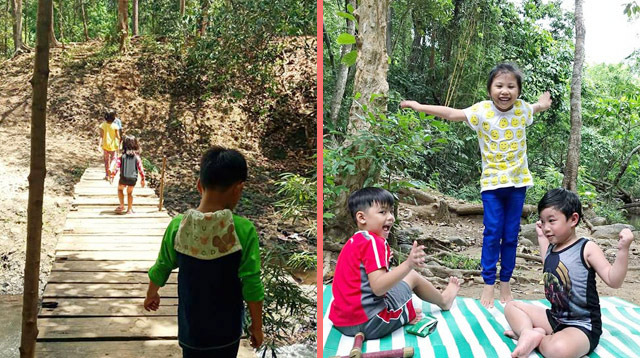 When she got pregnant in 2016, she wanted her child to experience a ‘genuine childhood’ — he can explore nature freely and engage in movement play. She stumbled upon Reggio Emilia’s book on Authentic Childhood and was immediately hooked on the different educational philosophies like Montessori and Waldorf. 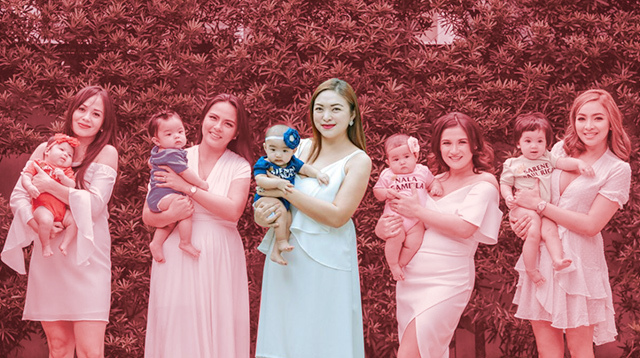 When she gave birth to her son, Franco Nikolai, she was excited at the prospect of exposing him to the outdoors. Vanessa had no qualms taking Franco outside as early as four months to enjoy nature. By the time he was 6 months old, he was already standing and feeling the mud and grass. 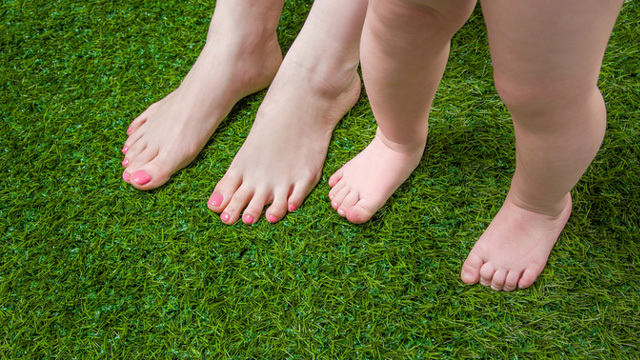 This advocacy called “earthing” suggests that simply going barefoot and feeling the grass or the earth provide many health benefits. The mom also found herself reading up on books about Waldorf and realized the educational philosophy resonated with her and was aligned with what she and her son had been doing so far. Vanessa doesn't mind if Franco gets dirty during play. It's all part of having fun. 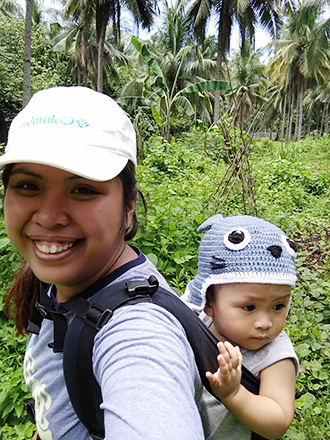 As a single, working mom, Vanessa had to make sure her family, who would be looking after Franco while she’s away, was onboard with the kind of development she wanted for her toddler. Vanessa is a customer service representative for a BPO company based in Davao. Since she works the graveyard shift, it was essential to create a routine for her and her son, who is now 1 year and 7 months old. A typical day for the mother and son starts in the morning when she gets home from her shift. “We eat our breakfast together followed by either nature walks, unstructured movement play, or sensory play. Afterward, I tell him stories based on books I’ve read or my own crafted stories. This is our transition to our morning sleep,” she explains. Ever since Franco was young, going on nature walks with mom have become part of their routine. While Vanessa is asleep, Vanessa’s mom eats with him at lunchtime. “This is followed by unstructured play in his play corner in our bedroom,” Vanessa shares. 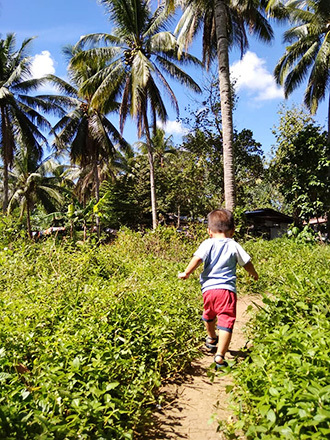 “When the sun is down, they go out for another round of nature walk or unstructured movement play." 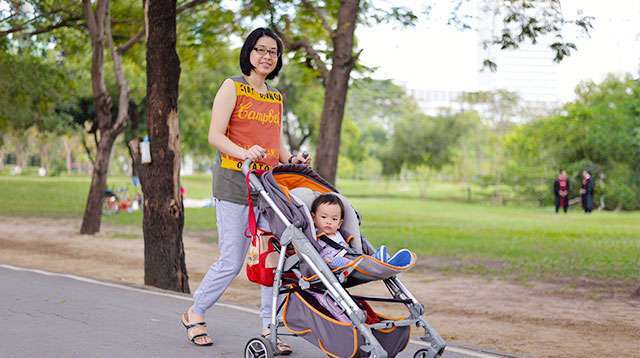 Vanessa wakes up at around 5 p.m., and she and her son bond together before they have dinner. This is followed by bath time and storytelling time. “While I prepare for work, he is in his bed,” she shares. Vanessa makes sure the room is quiet and dark, which is Franco’s signal to go to sleep. This is at around 8 to 9 p.m.
Vanessa invested in this Jungle Jumparoo gym where Franco can spend hours of physical play. 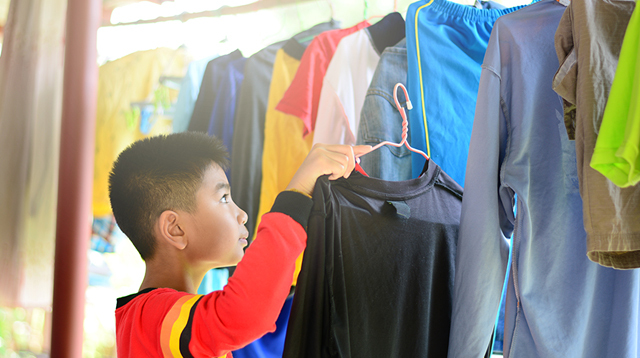 Instead, the mom spends time researching for activities she can do with her son. 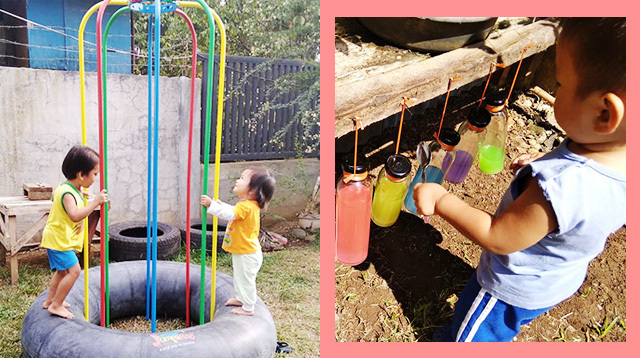 These vary from forage play, gardening, water play, gross motor movement play (that includes a lot of climbing), and sensory activities like playing with a DIY water xylophone she made using recycled bottles, painting, mud play, sand play, and more. Inside the bedroom is a Waldorf-inspired play corner. 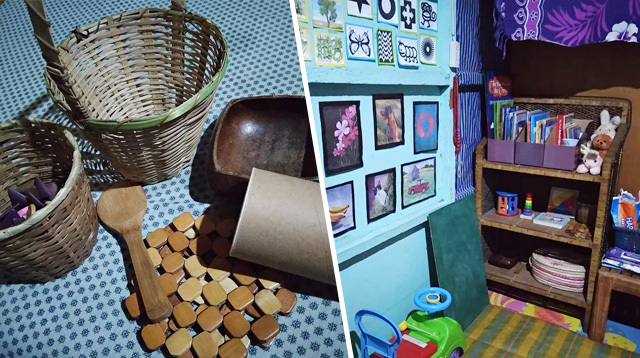 It has native wooden items that serve as his toys, a banig as his mat, and a gallery of artworks on the wall instead of the usual alphabets, shapes, and numbers. Welcome to Franco's play corner! 'Artworks' on the wall are Franco's favorite objects which Vanessa uses to enhance his communication skills. His toys include native goods found in the palengke. 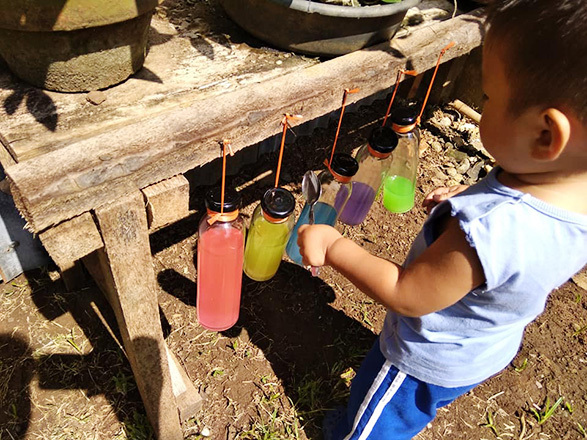 Vanessa DIY'd this water xylophone using recycled bottles, water, and food coloring. 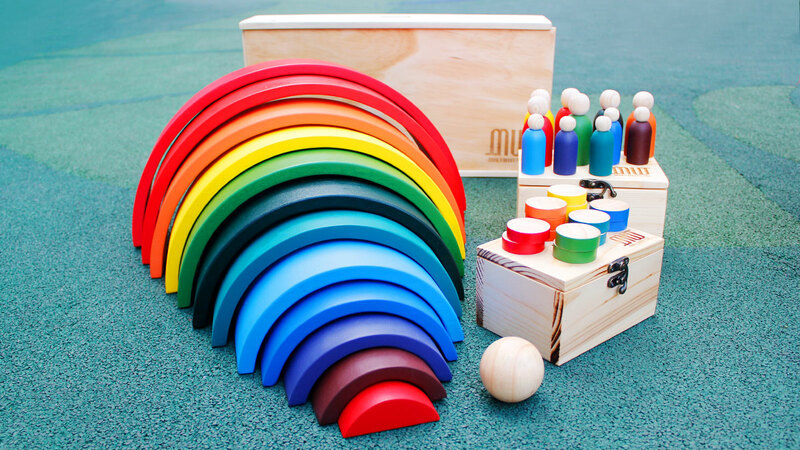 It's perfect for sensory play! 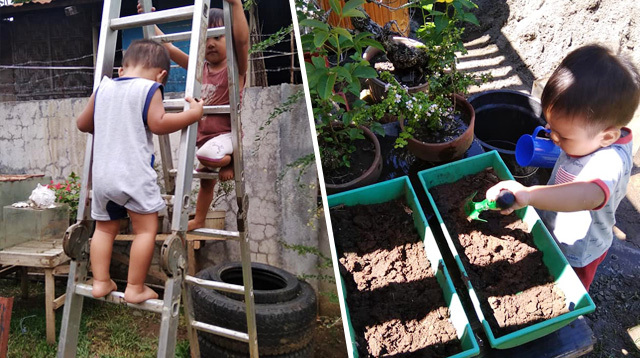 Outside the house is a natural playground that Vanessa diligently transformed for Franco’s use. 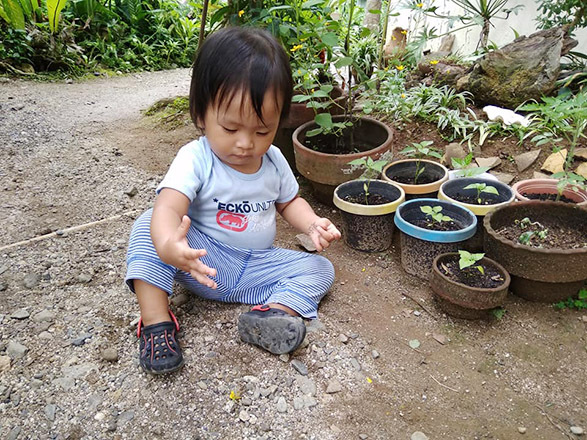 “We are blessed that we live in the greener part of Davao city because it allows us to foster our love for nature, which is reflected in my son’s daily activities,” she says. Vanessa says that while they are not affluent, she makes sure her son has enough space to move around “with objects that can support the kind of development I want for him.” Sometimes, it takes her a while to complete projects (she started a sandbox for Franco that she is not sure if she’ll be able to finish), but she doesn’t put any pressure on herself. “Kung ano lang talaga ang ma-i-setup ko at kung anong kaya lang ng resources, go lang,” she shares. Vanessa also refrains from letting Franco play with gadgets, and TV time is also a no-no for them. “Storytelling is a huge part of our days,” Vanessa shares, adding that it’s Franco’s favorite activity. 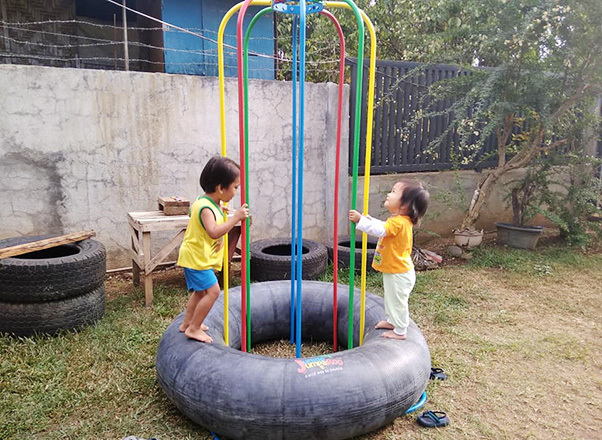 Vanessa is lucky to have a large space outside her home where Franco can do sensory and movement play. 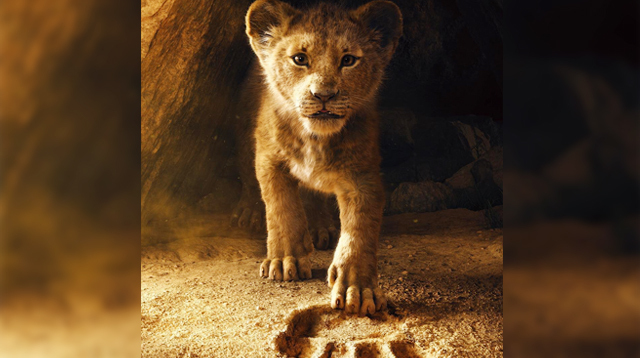 "I let him explore. 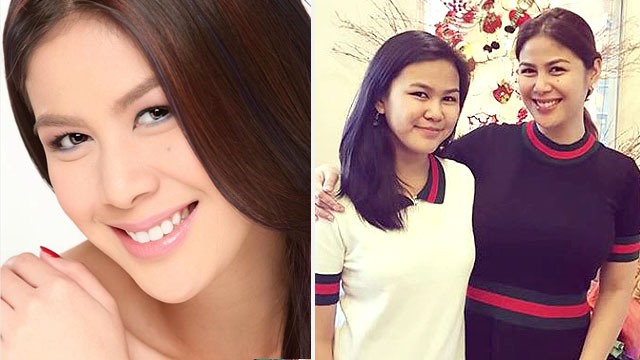 Nasa malayo ako usually but always on the lookout for real danger," says Vanessa.